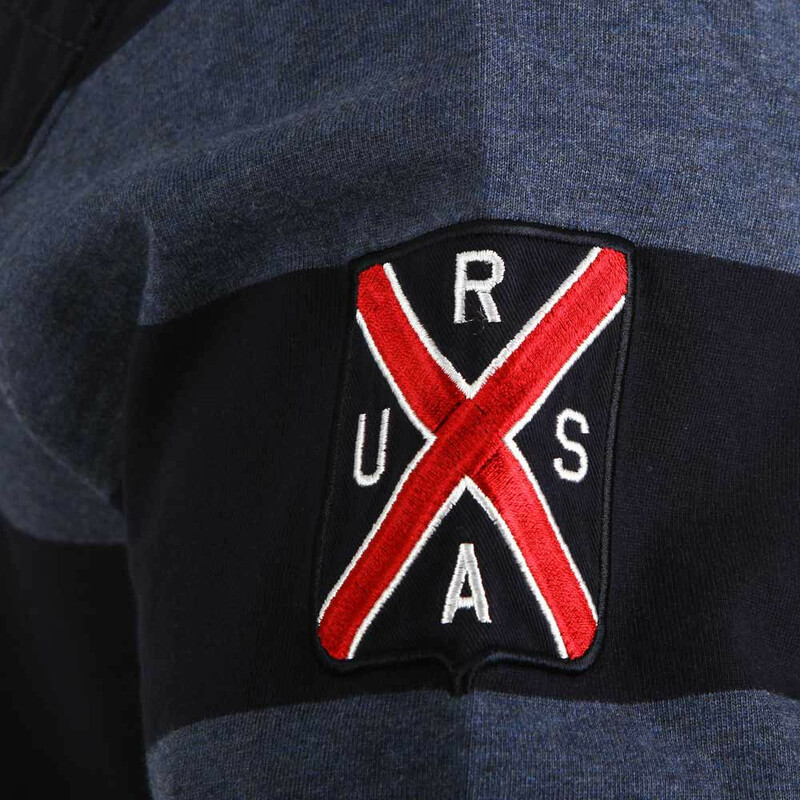 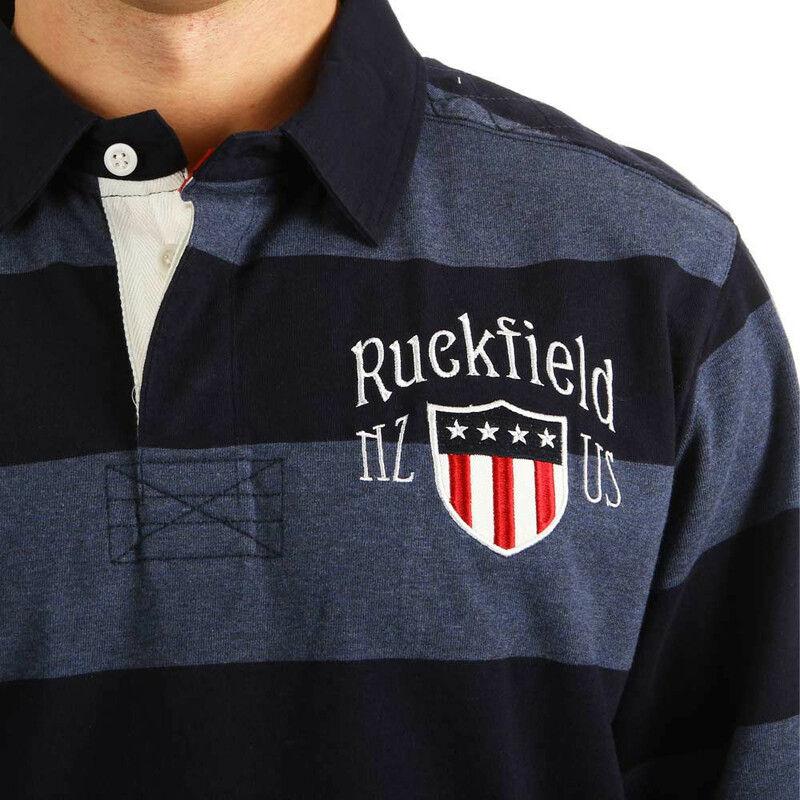 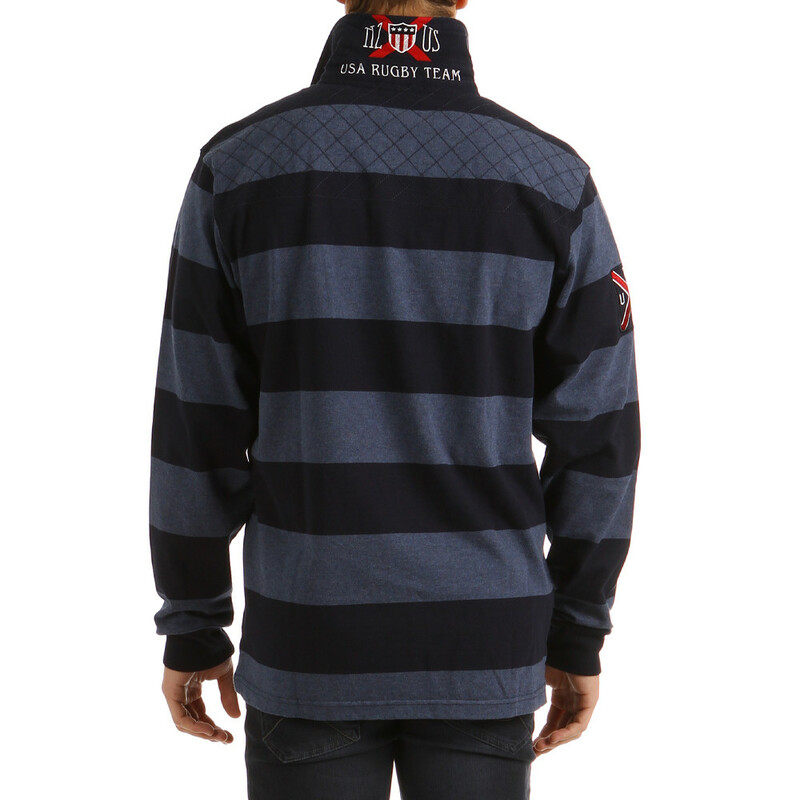 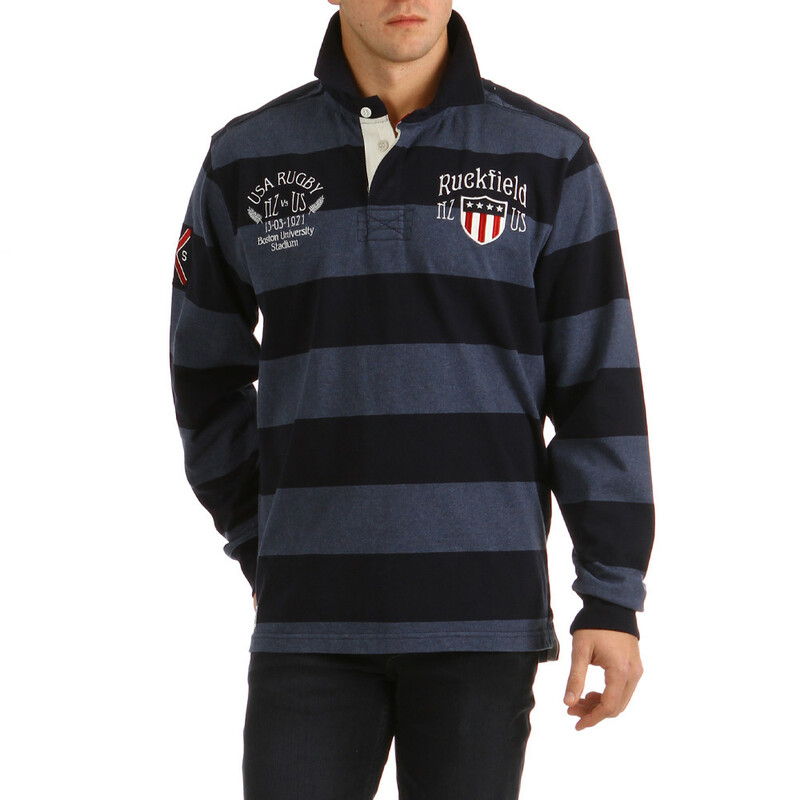 This international striped rugby top is embroidered with the American and New Zealand Team badges. 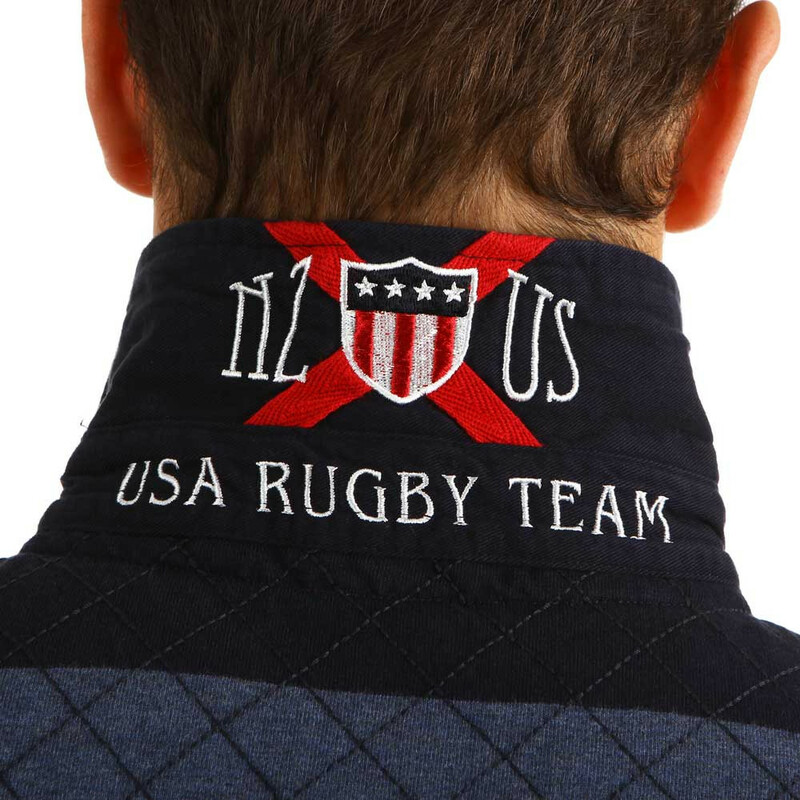 Other embroidery can be seen on the sleeve and inside collar. 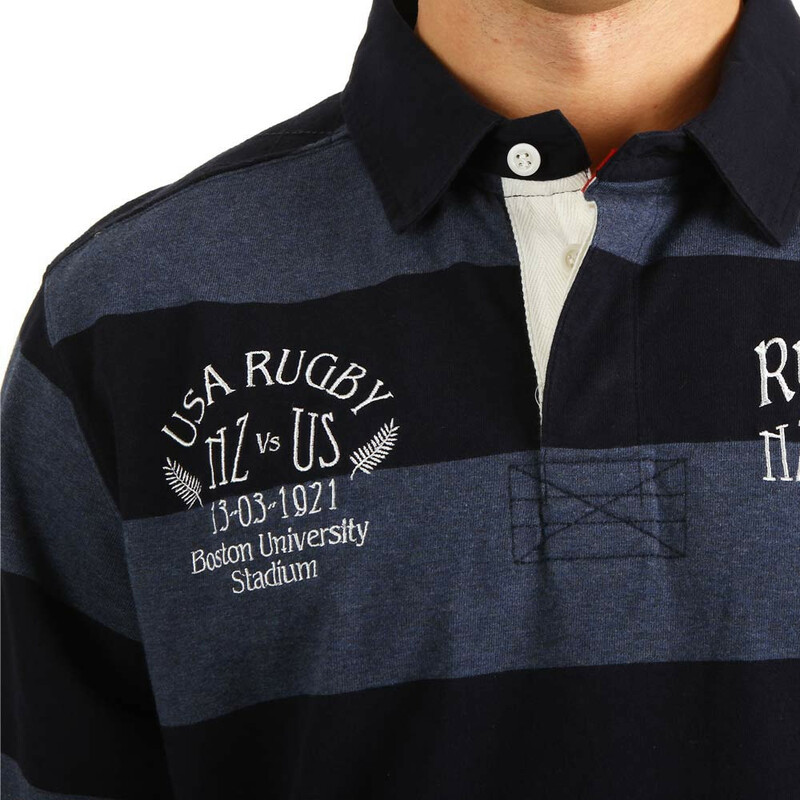 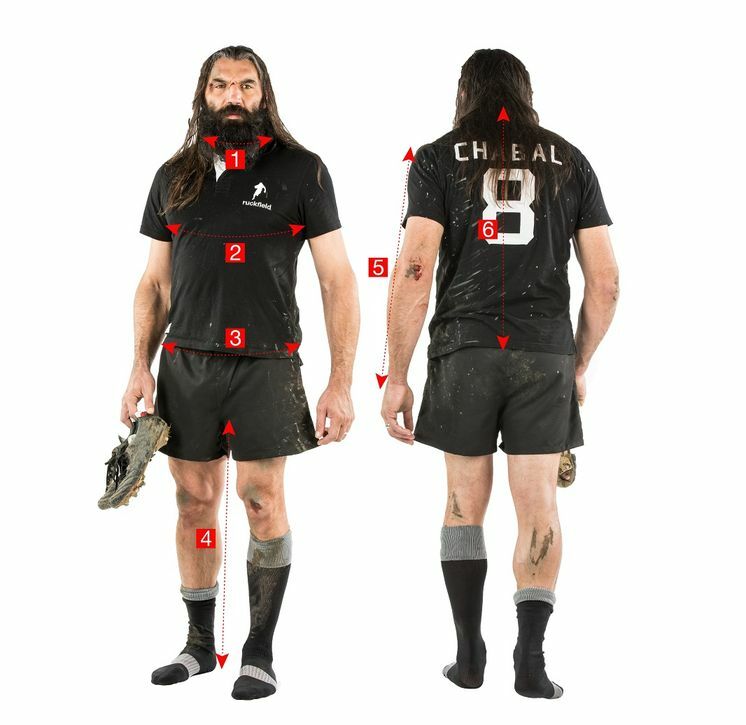 As smart as it gets, this American rugby top is at the height of fashion!